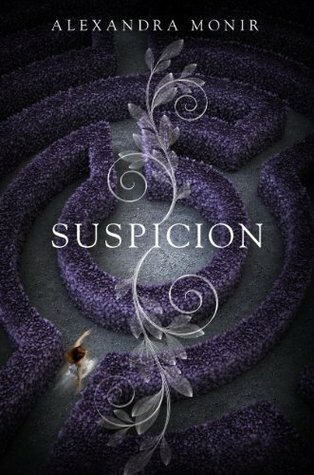 In a genre where a lot of books are carbon copies of each other, Suspicion stands out. I've never read a book quite like this one. It's quite different, even from Rebecca, though I do see the comparisons. There were parts of this novel that seriously creeped me out, and the mystery and realistic characters kept me reading. I was dying to see what would happen next. There were some parts that didn't fit, but overall, this was an excellent read. Imogen was a great leading character. However, the first chapter where she was ten years old didn't read like it was from a ten year old's perspective. Monir should have made her voice more child-like in that chapter to make it believable. It was more acceptable for her POV to read like an adult's once she was seventeen. Unlike a lot of leading characters, Imogen was extremely self-aware. She wanted to do what was right. She also knew how she felt and what she wanted, even if she felt guilty for wanting the things she did. Sebastian was a good leading male, and he was very sweet. He clearly had a lot going on, and I felt like we didn't get to know him as well as we should have. Theo was also interesting, and I would have liked to have seen more of him. The other characters were unique, and they seemed realistic, but they didn't really grab me the way these three did. The plot was extremely complex, and some parts of the story seemed more like plot devices that organic occurrences. For instance, Imogen's power was extremely interesting, and I would have loved to have seen more about it, but instead it was only used sparingly to move the plot along. It never really caused any problems, and she mastered it really quickly for not even having to practice. It just didn't ring true. Also, the huge plot twist at the end threw me, and it didn't really seem to fit. There weren't enough hints indicating that this was the case. Even thinking back, I can't really see how the plot twist fit. There just needed to be more there. All of these issues aside, the story and plot kept me reading, and I flew through this book in one sitting. I had to see what was going on in the mysterious Rockford Manor. Also, Monir's world-building was fantastic. I felt like I was in the English countryside at a huge castle-like mansion that had more than its share of ghosts. The romance was sweet and believable, but I don't feel like we got to see it develop enough. Again, it just felt like there were chunks of its story missing (like with the big plot twist and Imogen's powers). I just wish we'd been shown more of it and maybe less of Imogen's life in NY. Overall, I really enjoyed this book. If you're looking for something different that will hold your interest, look no further. However, there are some incomplete story threads in this book. It bothered me some, but they weren't so incomplete or lacking that I'd consider them plot holes. I just wish we'd had more information. Either way, I enjoyed the novel, and I'm sure most of you will, too.